April’s rising temperatures and its lengthier sunny days (keep your umbrella handy, though) mean that there’s a kaleidoscopic array of both indoor and outdoor local activities to add to your calendar this month. From cherry blossoms and Easter events to farmers’ markets and cool concerts, read on for info on the diverse happenings in the city. 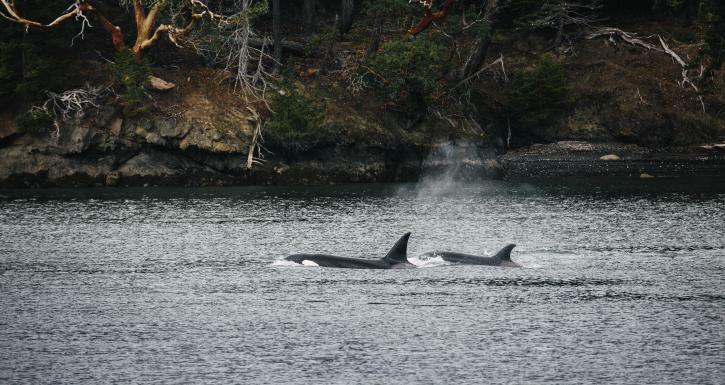 Celebrate British Columbia’s resident and visiting whales on an awe-inspiring ocean boat tour. Both of Steveston’s established operators—Vancouver Whale Watch and Steveston Seabreeze Adventures—host popular three-to-five-hour guided explorations. And it’s not just about orcas and the occasional humpback; be ready to spot seals, sea lions, porpoises, and a plethora of birdlife (eagles included). Reserve a spot ahead of time and prepare yourself for an amazing wildlife-watching experience. This is a rare and immersive opportunity to explore the richly intricate work of celebrated Indigenous weaver Debra Sparrow, who will talk about her art, the stories behind it, and also its connections to the area’s Salish traditions. Directly related to the 19th century’s last-known Musqueam weaver, Sparrow’s self-taught, strikingly geometric work—her blankets and wall-hangings are displayed in museums and institutions throughout Canada­­—has helped revive the almost-lost techniques of Musqueam weaving. This event is free but, since seating is limited, you need to register. 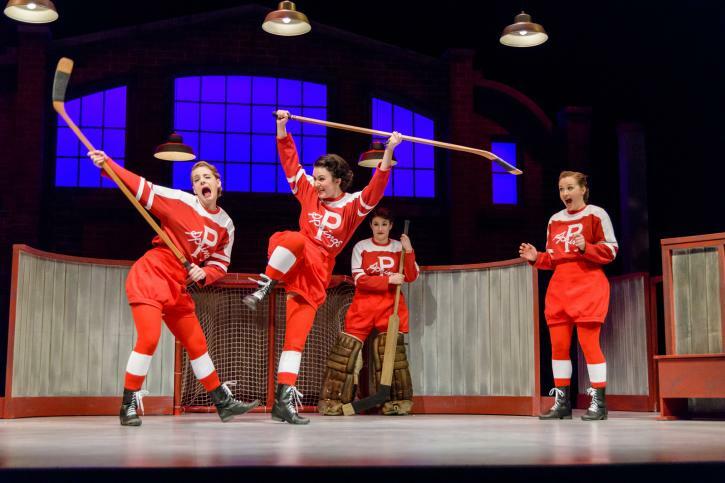 Book your tickets before the puck drops on what promises to be a rip-roaring finale to the Gateway’s current season—the stirring 1930s true story of the Preston Rivulettes women’s hockey team. Fighting to prove that hockey isn’t just for men, four tenacious women battle prejudice, personal setbacks, and the Great Depression to skate towards victory. Fusing jazz-inspired swing dance moves with the whirlwind excitement of a great hockey game, expect the emotional twists and turns of a rollercoaster Stanley Cup run. 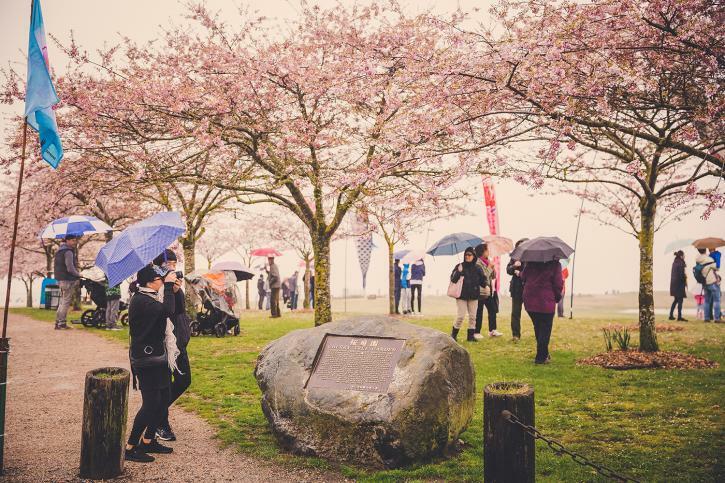 Framed by a spectacular array of 255 cherry trees, this family-friendly alfresco cherry blossom festival includes fascinating Japanese cultural demonstrations—drumming, dancing, and tea ceremonies included—as well as hands-on kid-friendly activities such as origami. There will be live on-stage entertainment throughout the day and food trucks on-site. The park is easily reached by transit bus or bicycle; there’s also a free bike valet that will safely store your wheels while you enjoy the fun. There’s a year-round population of lovely Anna’s Hummingbirds in Metro Vancouver. But did you know there’s a second group that also arrives here at this time of year? Head to the Richmond Nature Park to hear all about the jewel-like Rufous Hummingbirds that migrate up the western coastline. A family-friendly 101 intro to all-things hummingbird, expect lots of information, tips on attracting the beloved birds to your garden, and special presentations throughout the day. And if you’re around on April 28, there’s an Earth Day Celebration happening at the park as well. 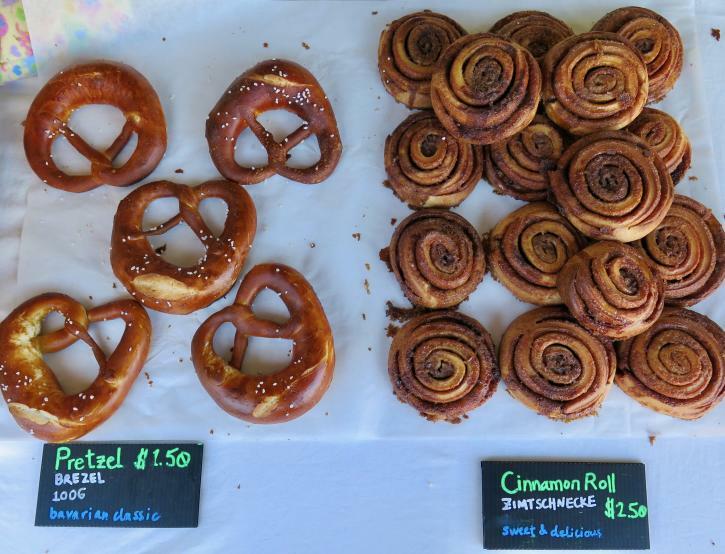 This friendly city centre pop-up farmers market kicks off another season of great stalls selling everything from locally-grown seasonal produce and fresh-baked treats and loaves to handmade arts and crafts. Arrive early for the best selection and save time to enjoy some toe-tapping live music while perusing an irresistible food truck or two. And since you’re in the area, nip inside to the Richmond Art Gallery to catch the intriguing Addah Hannah: the Decameron Retold exhibition—it ends on April 20. Multitalented and award-winning singer-songwriter Ross Douglas hits the stage in one of Richmond’s most evocative small performance spaces: the wood-floored Chinese Bunkhouse at Steveston’s historic Britannia Shipyards. Hosted by the Steveston Folk Guild, expect an intimate, warmly entertaining evening as Douglas performs witty, observational songs and stories, peppered with influences ranging from Cajun to Celtic. It’s that time of year when the Easter Bunny rolls in with chocolate treats—and all he asks for in return is a juicy carrot or two for his troubles. Expect a scenic diorama of pastel-hued Easter cuteness at Aberdeen Centre—make sure you have your camera ready—plus the chance to play fun mini games, have your face painted, and enjoy enchanting tales from your favourite princesses. Looking for more Easter shenanigans? There’s also a weekend-long event at the Gulf of Georgia Cannery National Historic Site hosted by the Easter Bunny’s lesser-known aquatic friend, the Easter Salmon. Spring is the perfect time to spruce up your home with some fantastic new pottery. From patterned vases to gorgeous teapots and charming coffee mugs, check out the array of handmade creations by members of the Richmond Potters’ Club (celebrating its 50th year in 2019). Give yourself plenty of time to peruse the many one-of-a-kind items! Dance fans should head over to Aberdeen Centre for a celebratory April 28 afternoon (1:00pm to 5:00pm) of displays, demonstrations, and dance performances by a cool troupe of energetic local performers. Marking International Dance Day, the smile-triggering performances continue—and you can even join in—on April 29 (1:00pm to 2:30pm), with free dance workshops for happy dancers of all ages, abilities, and experience. Always wanted to express yourself through dance? Now’s your big chance.